Misogyny is a hot topic, yet it's often misunderstood. What is misogyny, exactly? Who deserves to be called a misogynist? How does misogyny contrast with sexism, and why is it prone to persist - or increase - even when sexist gender roles are waning? 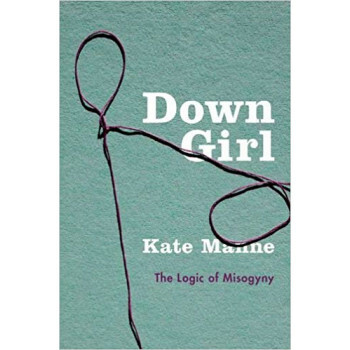 In Down Girl moral philosopher Kate Manne argues that misogyny should not be understood primarily in terms of the hatred or hostility some men feel toward all or most women. Rather, it is primarily about controlling, policing, punishing and exiling the "bad" women who challenge male dominance. And it is compatible with rewarding "the good ones" and singling out other women to serve as warnings to those who are out of order. A powerful, lucid analysis of the logic of misogyny from a remarkable feminist thinker, Down Girl is essential reading for the #MeToo era.